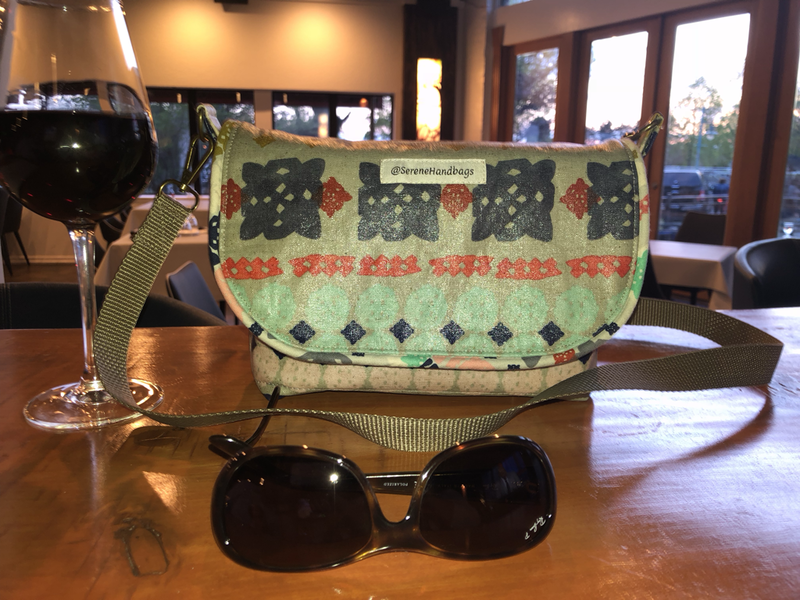 Cross Body Bags, a perfect, small, hands-free way to go about life! 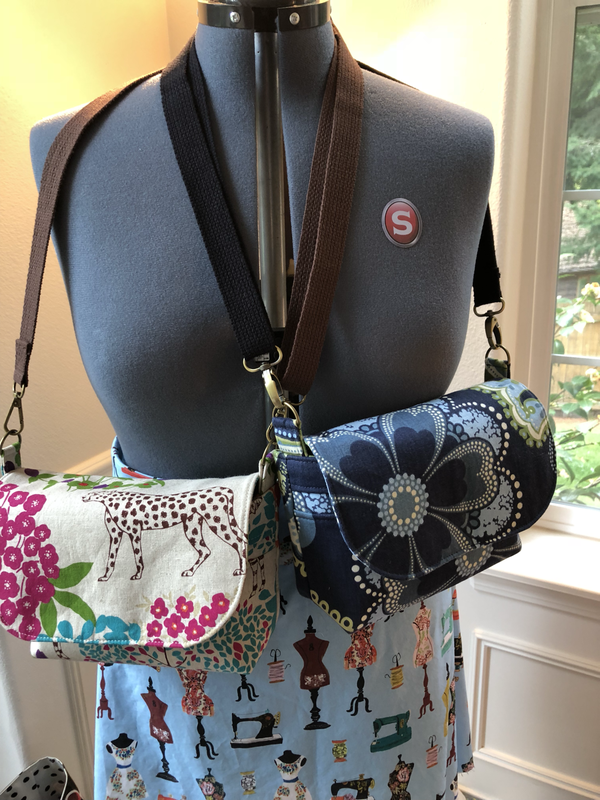 The latest addition to the SereneHandbags collection. This versatile little bag can be made from mid-weight cottons like quilting cottons, decor fabric or canvas. I found this pattern through an amazing designer name Mariah, founder of Red Rabbit Mercantile, which originally calls for waxed canvas. Waxed canvas is a heavier weight canvas treated with a wax coating to make it sturdy, water resistant & beautiful. Over time, the waxed canvas becomes softer and more supple, resembling suede. 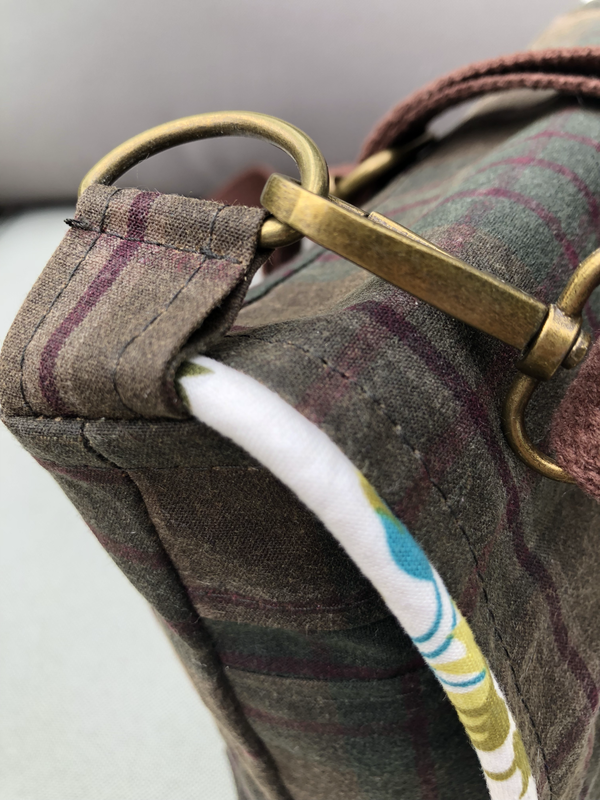 The awesome olive plaid is waxed canvas, the cheetah & blue floral are home decor cottons & the geometric design at the bottom is cotton treated with waterproofing called OdiCoat. Interior - a few stash sections perfect for lip stuff, mints & a large section for your wallet! 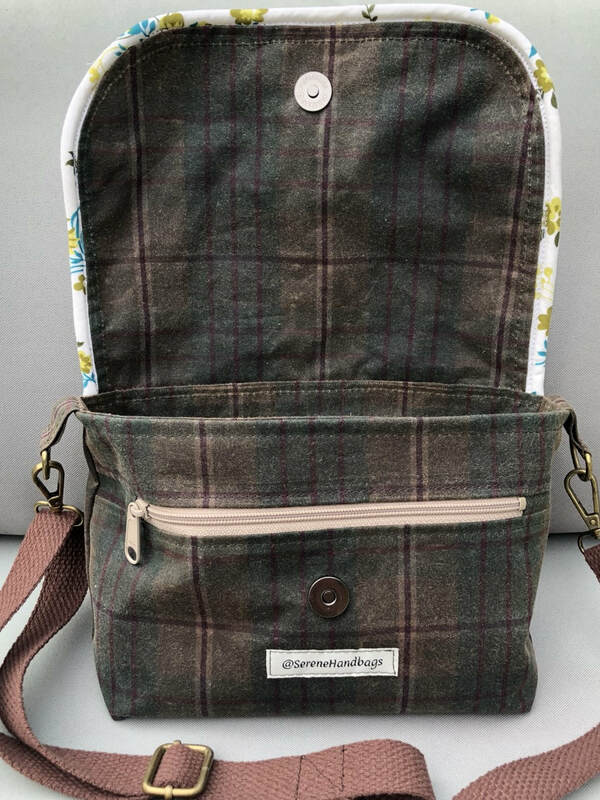 Cross Body from fabric treated with OdiCoat, a waterproofing material. Great for northwest weather.